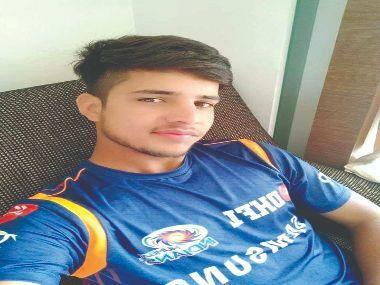 One Friday afternoon in Mumbai, Karan Kanchan, who was 18 at the time, decided he didn’t want to party down like any other teenager going to an electronic music gathering. The DJ and producer was at the debut Indian edition of the Mad Decent Block Party in 2016, which was the flagship event hosted by one of the biggest EDM groups in the world, Major Lazer. At the time, Kanchan was trying out everything from house to ambient to electronic dance music, and a bit of hip hop. “I released only two tracks in 2016 but I learned at least 25 different genres and made tracks like that,” he says. 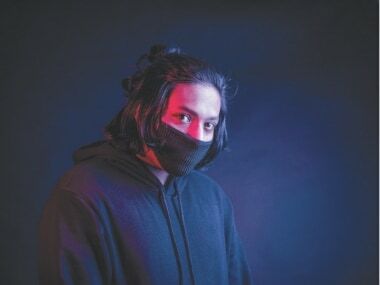 Three years on, Kanchan not only found his niche in blending Japanese sonic culture and trap music, but also got tapped by rappers like Divine and Naezy, earning a DJ gig with the latter. 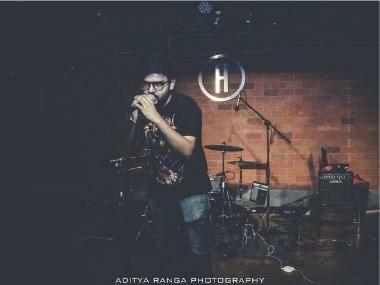 Kanchan is part of the growing producer community in desi hip hop, which is churning out rappers. And these folks are perfectly well-equipped with the pen. But they’re often held back by the quality of music they set their rhymes over. “I totally believe a song is a collaborative effort and the production is as important as the message that drives the beat and both artist and producer feed off each other’s energy,” says rapper and entrepreneur Raja Mukherjee aka Raja RME. Originally part of Divine’s Gully Gang, Mukherjee has called on producers such as Instine, Crazy Vibe and Diefferent to work on his forthcoming debut album Reboot. There’s certainly no dearth of commercial hip hop producers in India — even the likes of Phenom aka Goa-based Pinaki R have worked with Divine on hits like Farak and Kaam 25 — but the spotlight rarely falls on producers who pushed India’s current hip hop talents to the front. From the work of long-standing hip hop DJs like DJ Uri, Proof, Spindoctor, Major C and more, India is slowly seeing rap producers become a sought-after bunch, even making it a viable full-time job. At the top of the game are Stunnah aka Rajdeep Sinha and Sez on the Beat aka Sajeel Kapoor. In 2014, the producer duo from Guwahati and New Delhi respectively, banded together to create beats and upload them on their YouTube channel. Stunnah Beatz now has over 112,000 subscribers, offering trap, rap, soul and R&B beats for sale as well as for a free listen. Stunnah has been working closely with north-east India’s talents such as Moksh and Cryptographik Street Poets. Sez is part of the label Azadi Records’ fast-growing artist roster, working with everyone from Prabh Deep to Seedhe Maut and more. Stunnah has also branched into rap. “We producers know how a beat should be worked on. Sometimes when I don’t find the right artist, I just think, ‘Let me do my thing on this’,” he says. Even if there’s that kind of content being churned out regularly, Stunnah says they must keep up with current global music consumption habits, producers aren’t exactly sitting down every day with the purpose of making beats. There’s usually research involved and for people like Karan Kanchan, an artist has to be on board first. “My craft is about curating it (music) to the artist’s specific tastes. I’m also doing my music, other production stuff and I just want to be a better producer and work on everything,” he says. Mukherjee, as someone who’s sat in on one session that led to the creation of Divine bangers like Yeh Mera Bombay, Jungli Sher and Mere Gully Mein, says there is quantity over quality in this industry too, but he’s glad there are more producers around.